Here’s some thrilling news to brighten the first week of 2017, specifically if you’re a fan of the ever-campier Child’s Play movie series: Chucky will return later this year in Cult of Chucky. Truly, a perfectly self-referential title for what will no doubt be an immediate cult classic. According to a press release that dropped today, Cult of Chucky begins filming January 9, aiming straight for a Blu-ray, DVD, and Digital HD release in time for Halloween. So the below “trailer” doesn’t contain any glimpses at the new movie—instead, it’s a look back at some of Chucky’s memorable moments (kills and quips) over the past three decades. 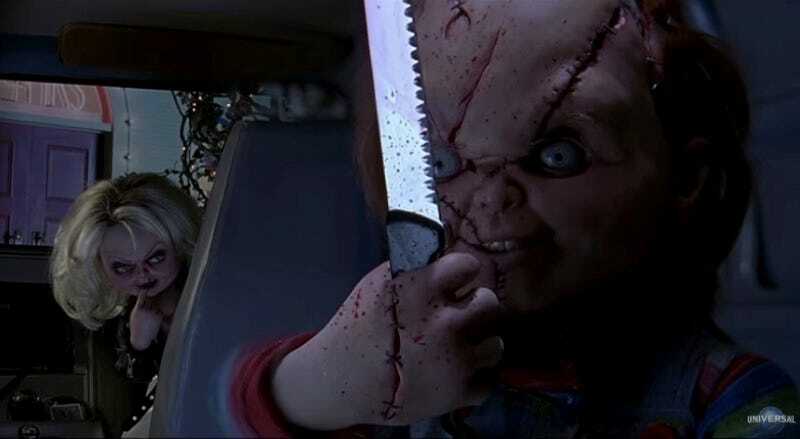 The inimitable Brad Dourif, of course, returns as the voice of Chucky; Child’s Play godfather Don Mancini, who has written or co-written every film in the series, also adds Cult of Chucky to a directing resume that also includes Seed of Chucky and Curse of Chucky.